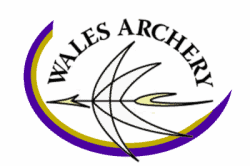 Membership renewal season is upon us – and Archery GB is here to help you with renewing your membership online. To improve our service to our clubs and members, last year Archery GB invested in a new online membership system. This facilitates a quicker and improved membership process, allowing Archery GB to offer additional support to clubs and members. We understand that using a new system can be daunting, so we have produced a series of new handy guides for direct members and club secretaries. These feature step by step guides to using the system. There is even a guide for club members so that they can log in to the Members’ Portal and check that all their details are correct. Our membership team will be on hand to talk you through any queries, or parts of the process you are struggling with, giving those who may not be free to call us during daytime hours, the opportunity to speak to our friendly membership team. All members will still receive their plastic membership card as well as their e-card, both can be used and are equally valid.